Through MGNREGS scheme the government aims to remove poverty by assuring at least 100 days employment to one adult from every household. To ensure that people are aware of the scheme, SAKTI SIKHA conducted various orientation programmes. Gram Panchayats and Gram Sabhas have been assigned a critical role in the implementation of the scheme and have been given the mandate of ensuring that the benefits reach all sections of the community. 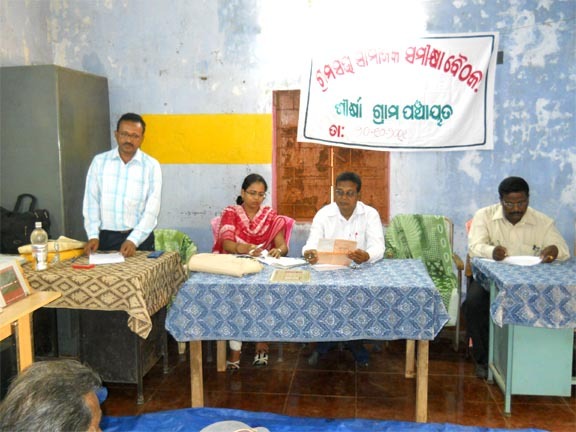 We have assigned by the DRDA, Mayurbhanj to conduct Social Audit of all the work implemented during the period from 1st April 2011 – 30th September 2011under MGNREGS in Saraskana block of Mayurbhanj district of Orissa. We have conducted the Audit in 15 GP of this block along with the Block level Administrative Officials. We have adopted the following 53 points audit process for ensuring transparency & accountability in MGNREGS. 8. Job card entries not updated and have different details of attendance and payments then the actual. 11. Are workers receiving dated receipts for their application for work? 12. Are people being given work on time? 13. Is the 33 per cent quota for women being satisfied in the allotment of work? 14. Are those who are allocated work outside the 5-km. radius being given a transport and living allowance equal to 10 percent of the minimum wage? 22. Selection of work not based on the works recommended by the Gram Sabha. 32. Was the shelf of projects prepared in the Gram Sabha? 33. Was there a citizen information board at the worksite giving details of the sanctioned amount, work dimensions and other requisite details? 34. Were the muster rolls available for public scrutiny at all times at the worksite? 35. Was a worksite material register maintained, along with verification by at least five workers whenever material came to the site? 36. Was a daily individual measurement of work conducted in a transparent manner where piece-rate norms were in force? 37. Was the final measurement of the work (for weekly wage payments) done by the Junior Engineer in the presence of a group of workers? 38. Did members of the vigilance committee make regular visits to the worksite and monitor the implementation of various aspects of the work? 39. Were any complaints made? Were they addressed within seven days by the grievance-redressal authority? 40. Is the measurement book maintained properly? 41. Taking and/or recording of improper measurements. 42. Issuing of false Completion Certificates. Is Completion Certificates issued in time? 45. The photographs taken before, during and after the work must be available for public display and scrutiny during the Social Audit. 46. 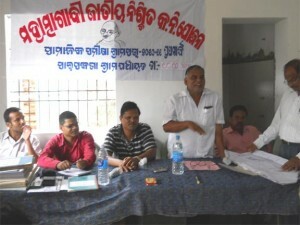 Does the social audit at the Gram Sabha meetings held at least once every six months. 47. Is the date, time, agenda, importance and sanctity of the Social audit widely publicized so as to ensure maximum participation. 49. Are all officials responsible for implementation present to answer queries from members of the Gram Sabha? 50. Are the minutes recorded, by a person from outside the Implementing Agencies, and are the minutes register signed by all participants at the beginning and at the conclusion of the meeting (after the minutes have been written). 51. Is the ‘action taken report’ relating to the previous Social Audit read out at the beginning? 52. Cases of miss utilization of funds (If Any). 53. Recovery of funds if any unjustified amount charged. Dairy and Poultry plays a very important role in rural poverty alleviation, specially for the socio-economic empowerment of the small and marginal farming families. 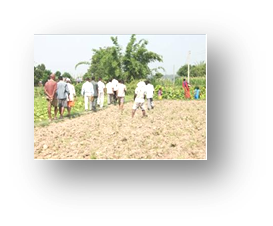 These activities if properly managed can promote the the living conditions of the poor farming and non-farming families. This also leads to women empowerment in true sense. 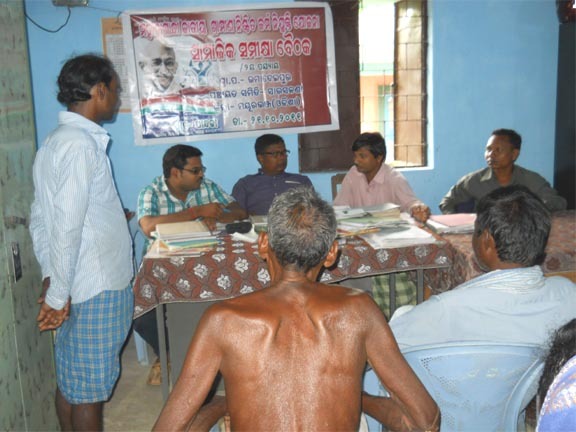 SAKTI SIKHA in its tools for reduction of rural poverty, implementing a pilot programme for the promotion of hybrid poultry and dairy farming among the rural poor. The entry level programme was started in Giajodi village, Saraskana Block of Mayurbhanj district. In the initial stage of the project an one day training programme was organised in the said village on the promotion of Hybrid (Banraj) poultry farming and Diary development. About 80 beneficiaries both from farmers and SHG members have given training on breed selection, vaccination, managing animal health, fodder cultivation, credit and market linkage. After the training around 57 beneficiaries were selected from Giajodi and Dighi village for dairy promotion. In collaboration with NABARD, Sakti Sikha plans to facilitate credit linkage for all these 57 farmers for at least 2 hybrid cows to each family for sustaining their livlihood. We are also planning to establish a Milk Cooperative at Jharpokharia to provide marketing support to around 200 milk farmers. Along with this about 67 BPL women from 12 SHGs were selected for the promotion of Hybrid Poultry farming. Planning is to provide minimum 10 chiks to each members. We are supporting them with chiks, poultry management and market linkage. 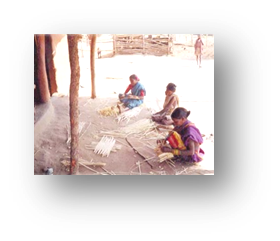 To develop the entrepreneurial skills amongst women Self Help Group (SHG) members and local SC/ST youth, SAKTI SIKHA imparts various training programmes on Bamboo craft making and Agro Based Industry to help them take up income generating activities. The SHGs were given training on bamboo craft making. As bamboo is available in local resources so it is easy for them to be avail the raw material. SAKTI SIKHA linkage them with various exhibitions and other market to sell their products and promote their access to resources and market. Besides craft training, they were also given training on mobilizing of community resources and marketing strategy. About 4 SHGs consisting of 40 SC/ST women of Dighi village of Saraskana block of Mayurbhanj district were benefited from this programme and were provided with necessary training & other services. management. Lead trainers are selected to provide constant support to other farmers in their areas. The groups are linked to financial institutions to access credit facilities to start their enterprises.